DRIVERS IN THE capital are the worst in Ireland, according to the experiences of motorists in a new survey. The survey by AA Ireland of over 7,000 drivers asked which county had the worst behaved drivers based on their own past experience. 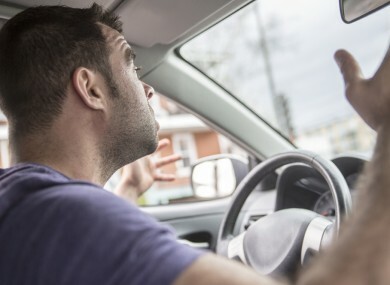 Almost half of those surveyed (46.77%) stated that they believed driver behaviour was at its worst in our capital, with drivers in Donegal (19.25%) and Cork (5.34%) being ranked as the second and third worst behaved respectively. “Every day we come across cases of dangerous overtaking, drivers failing to acknowledge the right of way and motorists ignoring many rules of the road,” commented AA Director of Consumer Affairs Conor Faughan. Drivers in Sligo and Leitrim were viewed as the best behaved in Ireland according to the survey. Just 0.26% of respondents held the view that drivers in these counties were the worst behaved in the country, reflecting a trend where rural counties were viewed as better behaved. The survey also highlighted the increasing popularity of cycling, particularly in city centres. More than 20% of those surveyed described themselves as at the very least occasional cyclists. Faughan said it is important for drivers to be on the lookout for vulnerable road users. Email “Dublin drivers ranked as the worst in Ireland”. Feedback on “Dublin drivers ranked as the worst in Ireland”.